Last year I was lucky enough to review The Knitter’s Year by Debbie Bliss and I loved it. The book still sits by my bed and every so often I flick through the gorgeous pictures – I’ve even just cast on the peg bag ready to grace my washing line in summer. 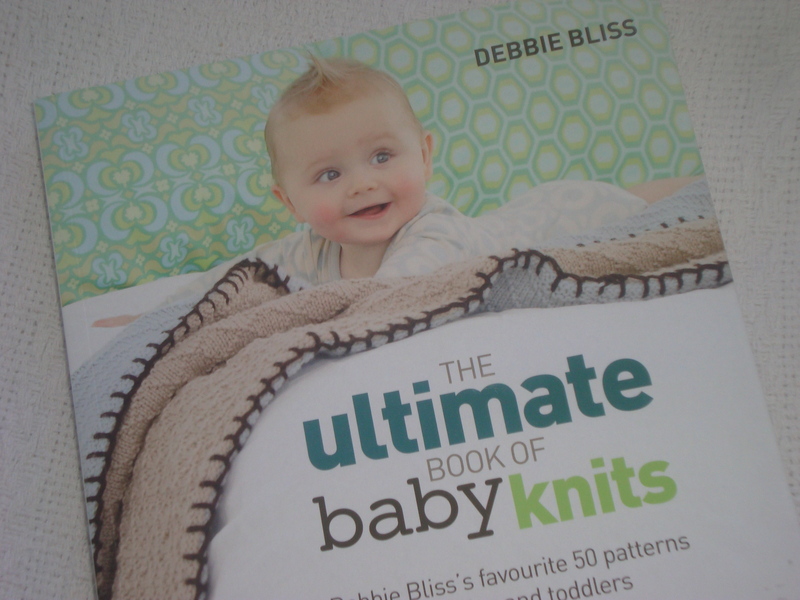 So there was no way I could turn down the opportunity to have a sneak peek at Debbie Bliss’s latest book, The Ultimate Book of Baby Knits, which is due out in April this year. 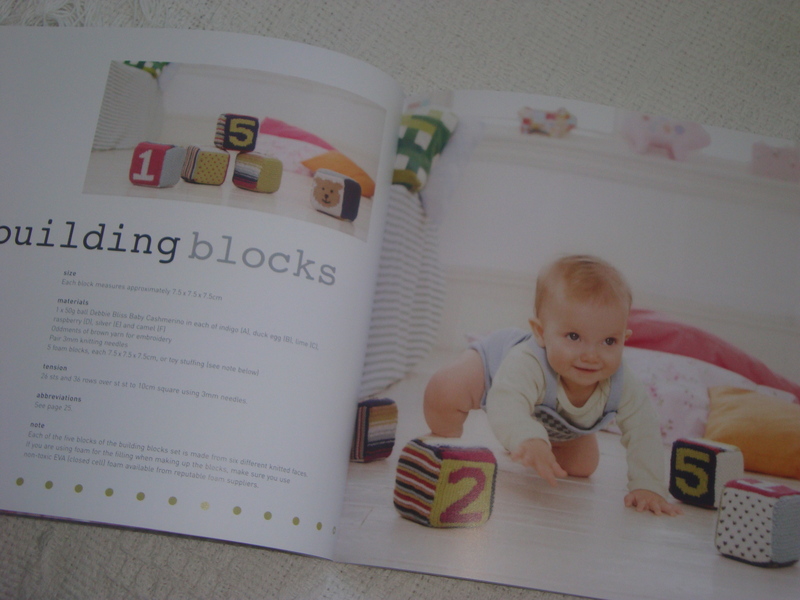 This is a compilation of Debbie Bliss’s 50 favourite patterns for babies and toddlers from 3 of her previous books: Blankets Bears and Bootees, Simply Baby, and Essential Baby. Perhaps if you already have these books then there will be too much overlap here for you, but I don’t have any of them so it is all new to me. Luckily, I now have a baby niece and two other friends who have just had babies, so I will get to try out the patterns as my girls are too old for these now. Although, as Faith is quite a small 3 year old, I think there might be a few patterns that will still be suitable for her. As with the Knitter’s Year, the photos in this book are wonderful and the range of patterns makes you want to dive into your yarn stash and cast on a whole host of things immediately! This book will take pride of place in my bedtime reading pile, while I flick through and plan what I will knit for all the small people I know. The building blocks immediately caught my eye as something I want to try and the little jackets and cardigans are just beautiful. There are also several sets of items so you can make blankets, bootees and teddies all to match. Just adorable! The book is currently available to pre-order on Amazon and is due to be published on April 4th 2011. This is a review post: I was sent a free copy of the book. I’m a Debbie Bliss fan too. I trust the patterns to turn out how they look (which I can’t say the same for others I’ve tried). I love it when it’s a book I think I would make quite a few things from.